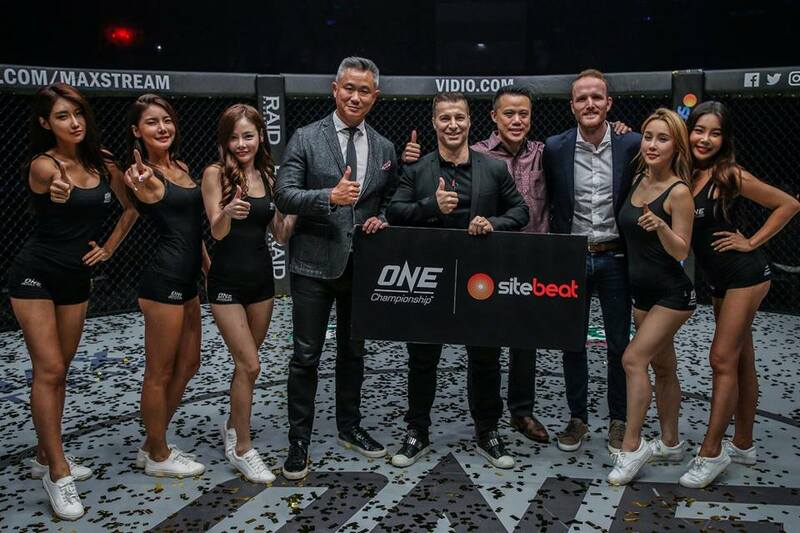 ONE Championship has partnered with Sitebeat, a website builder platform owned and operated by Dreamscape Networks. The multi-year partnership will commence on November 17, 2018. Sitebeat branding will start to appear at ONE Championship live events in Jakarta on January 19, 2019. Both companies will collaborate on various marketing initiatives to bring martial arts in Asia, particularly in Indonesia, to the forefront of society. Over 330 million internet users and 3.8 million new users are coming online each month and a digital transformation is happening now in Asia, which is the world’s fastest growing internet space. Southeast Asia e-Commerce is projected to grow at 39 percent over the next two years with many businesses choosing to be online instead of paying for costly retail or commercial space which continues to increase each year. Sitebeat helps individuals, businesses and ventures in Asia establish, maintain and build their online presence easily and affordably as they make the move to being online. It is a subsidiary of Dreamscape Networks, a trusted and affordable online solutions provider of domain names, hosting and technology solutions. While Sitebeat website builder uses powerful next-gen technology, it is easy to use. It is the first website builder in the world that lets the user choose. Sitebeat users have the option to build it or let the website builder build it for them. The end result is a modern attractive and functional website that the customer has full control of at the most affordable prices.